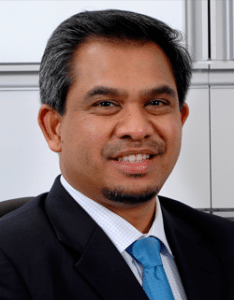 KUALA LUMPUR: The domestic Islamic banking industry players should be brave enough to tap into foreign markets to expand their businesses and grow the industry, says Datuk Dr Mohd Daud Bakar, group executive chairman of Amanie Advisors, syariah advisory firm. Daud said that companies were too afraid to face the potential risks in the foreign markets. “They are too obsessed with their own success stories and tend to focus on setting up their businesses only in Malaysia. They should use their expertise to explore outside market. “In this segment, we have the experts and many countries hope that we bring our capital as well as expertise to set up a Malaysian bank,” he told Bernama. He said Malaysia has the capability to set up banks and companies offering Islamic banking products and services as it is the third biggest Islamic banking industry player in the world after Iran and Saudi Arabia. Unfortunately, Daud said, Malaysian bankers were not keen, for whatever reason, to go out. “This is a big failure because they should diversify the risks. “When you are already a hit in Malaysia, definitely you are able to survive overseas … investing overseas would offer new exposure and bring back the money. “If they have businesses outside the country such as Dubai, it can give them advantages in terms of income contribution despite the ringgit’s depreciation as the overseas operations use the countries’ currencies,” he said. On the company’s expansion plan, he said, Amanie Advisors was looking to enter new markets, such as Nigeria, India and Gambia, to provide syariah products and services due to the anticipated strong demand in the next three years. “We are going to Morocco next week to organise a national event, ‘International Participative Finance Forum Casablanca 2015’. “Our startegy is to focus on new markets as there are less competition compared with the established ones… we want to be more active in the new markets,” he said. The homegrown syariah advisory firm also aimed to be more visible and impactful in the global industry after it won the ‘Award of Islamic Economy Knowledge Infrastructure’ by Global Islamic Economy Summit last Monday in Dubai, he said. “We take the award seriously because it went through a one-year process to announce the winner and we do battle with 10-15 global established firms which have their own success stories. “In order to maintain our standard, we will motivate our people and take on new initiatives to show how impactful we are in the market,” he said.